alaTest ha raccolto ed analizzato 11 recensioni su Gionee Marathon M5 Plus. La media della valutazione per questo prodotto è 3.6/5, confrontata con la media della valutazione di 4.1/5 per altri Cellulari. Abbiamo analizzato differenti valutazioni di esperti ed utenti, età del prodotto ed altri elementi. A confronto con altri Cellulari, Gionee Marathon M5 Plus ha ottenuto un alaScore™ complessivo di 87/100 = qualità Molto buono. 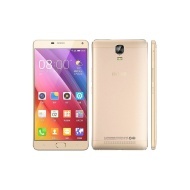 Unfortunately for Gionee, plenty has changed since the M5 Plus' December 2015 launch. Manufacturers have introduced new chipsets and components to the market that are not just powerful but energy efficient as well. For what it was supposed to offer, the Gionee Marathon M5 Plus does deliver plenty. You get battery life that you can depend on and a large AMOLED display that works well both outdoors and indoors. what an amazing phone with great features. Gionee is proving to be an amazing company with hi tech phones and a great look all together.Highly recommended.